Go 4 Goals Football Coaching offer football & multi-sports holiday clubs in Leamington Spa. 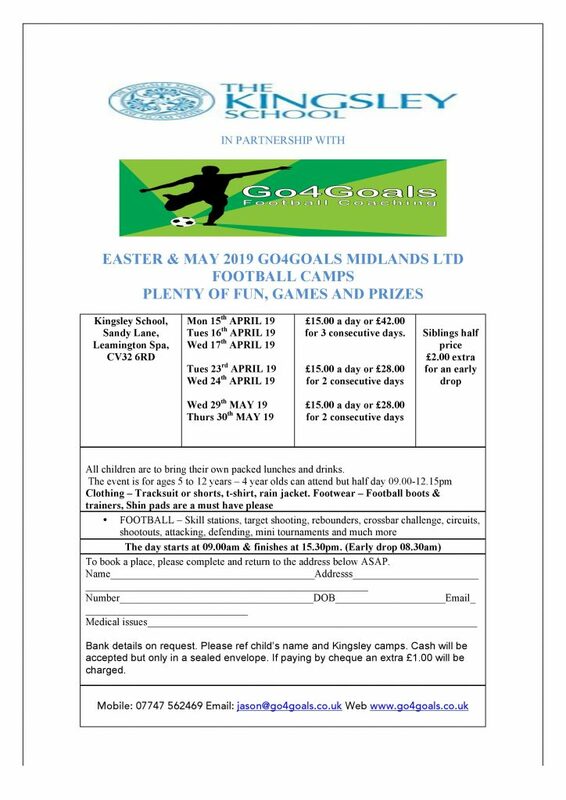 Come and join our football holiday club this Easter! You can also visit our website here for more information and details on our regular coaching sessions in Stratford upon Avon and Leamington Spa. Posted on January 23, 2019 by Nikki. This entry was posted in Companies, Holiday Clubs In Warwickshire.